We are offering MS Strong Room Door to our client. 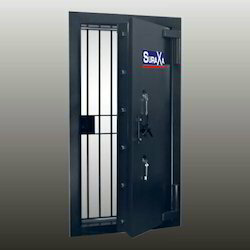 A new range of Defender doors -- Defender Plus Class C and Class B with greater security-enhancing features for banks, financial institutions, and private safe deposit vaults are available. Our entity is presenting a high-class series of Strong Room Door. Professionals make this product keeping in mind prevailing market trends and industry laid standards. Our offered doors are manufactured making use of cutting-edge techniques and progressive machines in compliance with universally accepted norms. 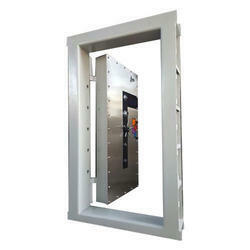 We are instrumental in offering excellent quality range of Strong Room Door. We are a unique name in the market to provide our honourable customers an exclusive range of Inside Opening Strong Room Security Door. With the help of our expert team members, we have been able to provide Strong Room Door.